With industry-leading digital audio clarity, superb build quality and DES/AES encryption, the TP9100 is a tough, dependable and sophisticated piece of radio engineering. Fully interoperable, the TP9100 gives you the flexibility of working in digital, analogue and auto-sensing dual mode. The Tait Base Stations/Repeaters product family covers the TB8100, TB7100, T800 Series II, T800SL and T800SL2 series of analogue products. Tait also offers a P25 digital base station, the TB9100, part of a complete range of affordable and high quality P25 digital products. The TB8100 is part of the new Tait 8000 series of products and provides a level of flexibility, modularity, robustness and reliability never before seen in a base station. The intuitive TB8100 combines ease of use, advanced remote monitoring capabilities, power management options, RF performance and robustness. It has been developed using ground-breaking DSP digital design and proven RF analogue hardware technology. The TB7100 is a compact, cost effective base station offering continuous duty operation. It also makes an ideal high speed data platform. The T800 Series II family of modular base stations and ancillaries provide proven reliability, high performance and numerous system integration features. The T800SL (Slim Line) base station offers the high performance of Tait T800 RF modules at an economical price. Dependable in the busiest or most remote sites, the T800SL base station range redefines the price-performance benchmark. The T800SL2 base station offers the same features as the T800SL base station, and continuous duty at an economical price. The new T854 transmitter and a proven T800 Series II receiver are installed together onto a single 3U rack mountable panel, to become the T800SL2 base station. Tait offers a wide range of mobile radio products, from the popular and long-standing T2000 radios to the new high-performance TM8000 range. Tait also offers a P25 digital mobile radio, the TM9155, part of a complete range of affordable and high quality P25 digital products. The TM8000 series includes the TM8100 and TM8200 mobile radios, which have been developed to incorporate three key strengths - ruggedness, high speed data transmission, and ease of integration. Part of the 8000 Series of innovative and high performing products, these radios are state-of-the-art and integrator-friendly, and raise the bar for analogue radio products. The T2000 series has been a top-performing standard bearer for Tait in the mobile radio market since 1992. The T2000 series comprises eight models featuring both conventional and trunked versions, and can be readily adapted to handle encryption requirements. Encryption capabilities can be incorporated into the T2000 series. From protecting a small company's competitive advantage through to guarding essential government information, we offer an encryption solution that is suitable for many different types of companies. The standard bearer of the Tait portable radio product family is the Tait Orca 5000 series - a range of reliable, rugged analogue portable radios designed for ease of use and built to perform even in the harshest of environments. Tait also offers a P25 digital portable radio, the TP9100, part of a complete range of affordable and high quality P25 digital products. Tait Orca 5000 series portable radios provide you with the constant communications you need to meet your daily business requirements. 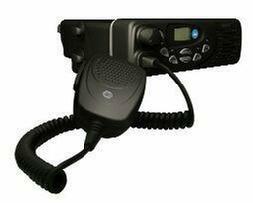 The radios keep you in touch while you are in or out of your work environment. 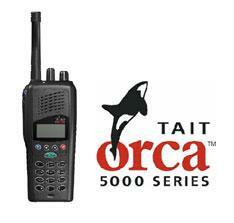 Encryption capabilities can be incorporated into the Tait Orca portable radio range. From protecting a small company's competitive advantage through to guarding essential government information, we offer an encryption solution that is suitable for many different types of companies. Another key feature of the Tait Orca portable radio range is Intrinsically Safe - Tait Orca portables can be supplied with IS features for use in hazardous environments. The Tait Mobile Data product family includes a range of data radio products developed and customised to meet the ever-increasing needs of the modern mobile radio user. Tait has a mobile data solution for you, ranging from two-way text, status and e-mail messaging for mobile organisations constantly on the go, to innovative vehicle tracking technology for small and large fleets, to telemetry applications for remote operations such as monitoring farm irrigation or power stations. A rugged and flexible data radio offering communication equipment manufacturers and system integrators an ideal off-the-shelf solution for data transfer applications. * The T630 Mobile Data Terminal - a highly robust unit with off-the-shelf applications including two-way text and status messaging, intelligent AVL and two way e-mail. * The Compact GPS Receiver - An economical low profile GPS receiver/antenna solution, configured to plug directly into the T2000 Series II trunked mobile radio. * SmartTRAC AVL - This fleet management system, offered in conjunction with Absolute Communications, is a highly scaleable PC based, off-the-shelf Automatic Vehicle Location (AVL) and messaging solution.